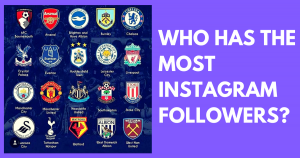 Below is a comparison of all the football teams in the Premier League and their follower counts on Instagram. These figures are correct as of the start of October 2017 after each team have played 7 matches. One interesting anomaly is Leicester City – they have almost 2 million followers on Instagram at 17th place whilst all other teams below 10th place have under one million. This is most likely due to their amazing unexpected, underdog title success in 2015-16. The only teams from the Premier league with over 10 million followers are Man Utd, Chelsea and Arsenal. These teams have all been competing regularly in the Champions League over the last 10 years. This would indicate that they not only have a high number of supporters but that they have gained a significant international following as well. However, it will be interesting to compare these figures at the end of the season to see how significant position in the table is to accumulating social followers. One obvious & interesting observation is that each team’s Facebook page had a massively bigger number of likes than Instagram followers. This is potentially due to the fact the older demographic use Facebook more and prefer to keep up to date with teams on Facebook rather than Instagram. Man Utd has over 53 million more Facebook page likes than followers on Instagram! The differences in social following across the two platforms may also indicate that it’s more of a conscious action to follow an account on Instagram than to just like a page on Facebook. With these figures in mind it could be an opportunity for each club’s social media team to consider reposting Instagram content on the account’s Facebook page to reach more of their fanbase. Comment below if you have found this interesting, was it as you would expect or are you surprised? Also, should we compare other leagues and their social reach? 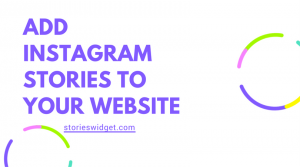 Next Next post: Should you be making Instagram or Snapchat stories?